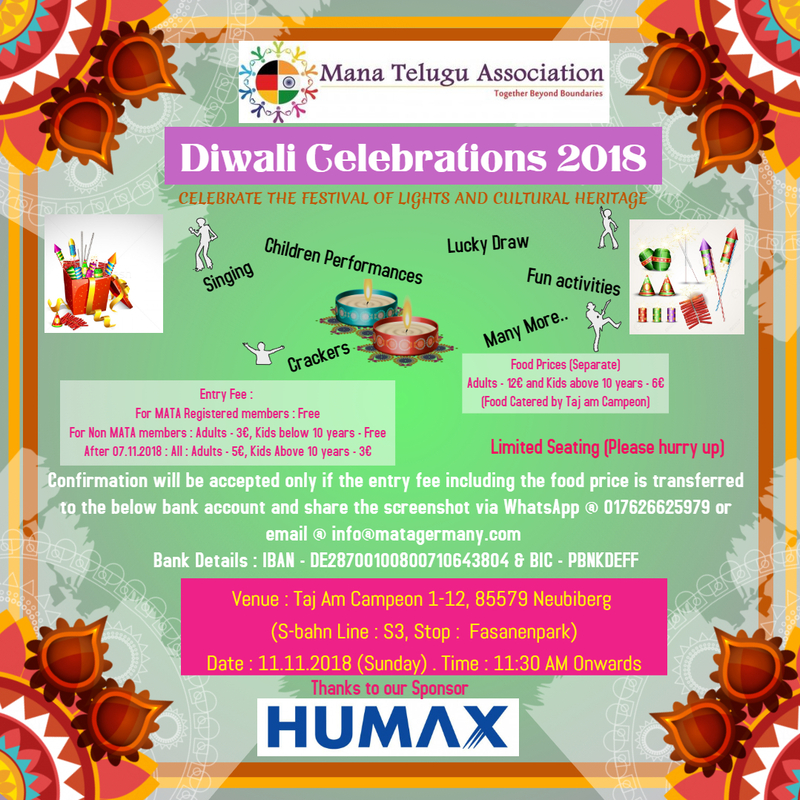 Mana Telugu Association Munich(MATA) diwali celebrations taking place in Munich on November 11th. Competitions for children and families. Live singing by local artists. Associationteam is planning lot of suprising gifts for children. This event is sponsored by Humax company.